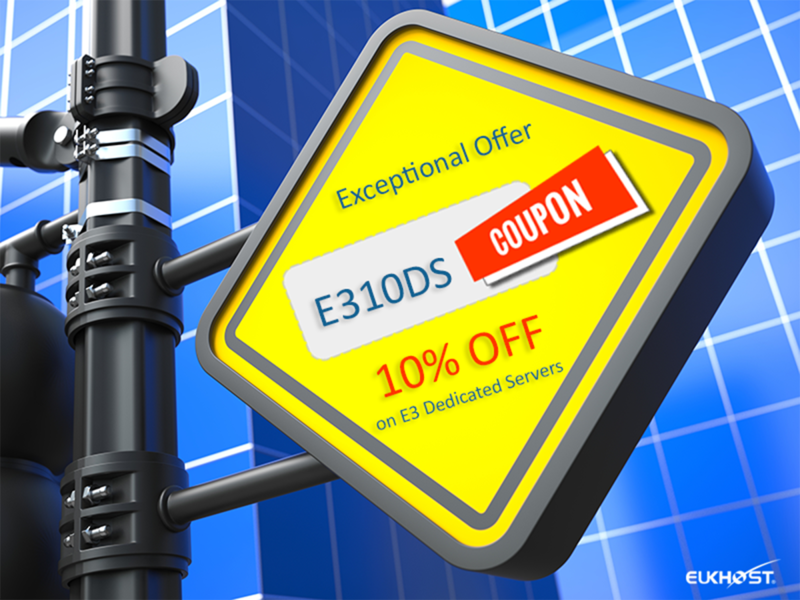 Just a few days remaining to get 10% off the first invoice on any eUKhost E3 Dedicated Server. To take benefit of this exceptional offer use coupon "E310DS". The Intel® Xeon® E3 Series Advanced eUKhost Dedicated Servers are ultimate web hosting solution for businesses and websites looking for industry leading server configuration. The dedicated servers provided by eUKhost servers are enhanced with optimum performance, uptime and online security with 24x7 Support. To avail 10% OFF use coupon code E310DS" valid till 12th December. Our UK based servers are located in secure tier 4 data centers and are monitored 24 x 7 by our experienced technicians and data center engineers. We offer monthly, quarterly, semi-annual, annual and biennial billing options on all servers with 24 x 7 e-mail, live chat and phone support included as standard. If you wish to avail this exceptional offer on any of the above E3 Servers or if you have any queries, kindly initiate a new live chat with our sales representatives through our website. You can also call us at 0800 862 0380 / (+44) 0113 350 4473 for more details. Try Our Ready to Use Amazing.Website Builder for FREE - Sign Up Now! All times are GMT. This page was generated at 03:49.